Last week, Hind Masri, a second-year UNB law student embarked on an historic, life-changing internship at the International Criminal Court (ICC) in The Hague, Netherlands. Dr. Jeremy I. Levitt, UNB’s new dean of law and a distinguished international law jurist, organized the four-month internship for Ms. Masri and hopes to facilitate more experiential learning opportunities for UNB law students. “Hind is an excellent student and her appointment is historic,” said Dean Levitt. Ms. Masri will be working in the Appeals Division of the International Criminal Court, which is the first permanent, treaty-based, international criminal court established to help end impunity for the perpetrators of the most serious crimes of concern to the international community. “After only a few short minutes of expressing my interest in an international law internship, Dean Levitt picked up the phone and called the International Criminal Court and the next thing I knew, I was quickly putting an application together for an internship in The Hague,” said Ms. Masri. 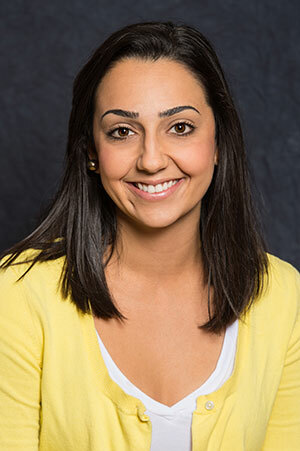 Originally from Calgary, AB, Ms. Masri received a bachelor of arts from the University of Victoria with a focus in Middle Eastern history in 2010, and a masters of arts from UNB in 2013 with a focus in political science. She is fluent in English, French and Arabic. One of Dean Levitt’s key priorities is to develop new experiential learning opportunities for UNB’s law students, which will give them a better glimpse of the various career paths available upon graduation. He facilitated this internship, with the support of the Honourable Judge Akua Kuenyehia, who visited UNB in October as the Faculty of Law’s 36th Viscount Bennett Lecturer.